By the year 2090 A.D., after generations of people died in countless world wars, a world-allied government was established, and the people of Earth live peacefully. Unfortunately, that calm was cut short by the threat of an alien invasion. The forces of Carnass launched an aggressive and deadly approach, with the Earth's annihilation being the primary goal. The creation of the Raiden fighter bomber is the one chance to eliminate the threat of ultimate destruction. As an expert pilot, you've been selected as the planet's last hope against the alien menace. 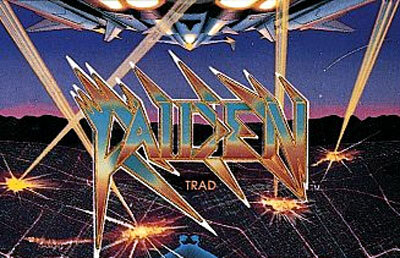 Strapping yourself in behind the control of Raiden, you'll have your hands full as you go into battle as a one-man army against a horde of mechanical maniacs. This top-down action-fest will throw all kinds of enemies at you, and only your quick reflexes and split-second decision making skills will do, as you fight to save your home.